As the world of work changes and presents more risk, tough decisions and adventure there are movements towards taking personal development into our own hands, diversifying income streams and simple pursuing passions with as much intensity as our 9-5's. We are creating multi-dimensional careers. 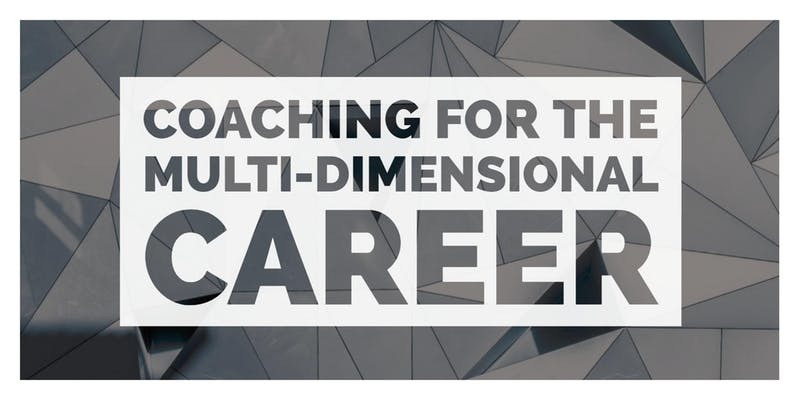 This event is for those interested in or beginning a multi-dimensional career. We will share practical coaching techniques to support you as the pioneer of your life so you may use this new found self-awareness to navigate a less-traditional career.